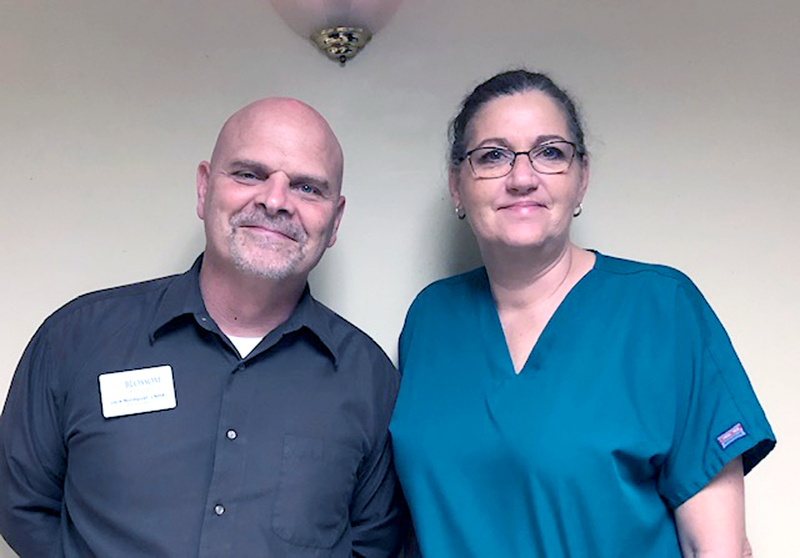 Submitted photo Blossom Nursing and Rehab, 109 Blossom Lane, Salem, will host a meet and greet from 4:30-6:30 p.m. Wednesday to welcome Jack Nordquist and Lori Rusyn to the Blossom family. Nordquist is the administrator and has been in his position for eight months. He brings 16 years of nursing home administrator experience to Blossom. Rusyn, director of nursing, brings 33 years of experience. Appetizers will be served. This event is open to the public. Visit the Minerva Public Library at 7 p.m. Wednesday and learn how to attract colorful birds and butterflies to your garden with Lynette Reiner, science director at the McKinley Museum. This free program is of interest to all ages. Kent State East Liverpool is preparing for its annual Environmental Justice Conference to be held from 9 a.m. to 2 p.m. Saturday, April 20, in the Paul Blair Memorial Library, located in Purinton Hall. The event will feature guest speakers, student research presentations and information focused on local environmental issues. This year’s theme is Simple Living on the Ohio River. The featured speaker is Dr. Xiaozhen Mou, associate professor of biology at Kent State University, whose research focuses on bacteria in natural aquatic environments. Her presentation title is “Cyanotoxins and PPCPs: Two Types of Common Contaminants in Freshwater Systems.” Also during the conference, Randy Schneider, a local riverboat captain with Murray American Transportation, will participate in a question and answer session, titled “Making a Living on the Ohio River.” The conference is free and open to the public. This month’s On Bended Knee luncheon on April 20 at the Columbiana Nazarene Church will include an Easter egg hunt. The hunt will begin at 10:30 a.m. followed by lunch from 11 a.m. to 1 p.m. The lunch is free to everyone. Menu this month includes ham, cheesy potatoes, fruit, and desserts. Salad, dressing, rolls, and cinnamon butter will be donated from the Texas Roadhouse in Boardman. The county Park District will close part of the Greenway Trail on Wednesday to allow the repaving of the wetlands section. The trail will be closed just past the parking lot at Franklin Square (around the 8.7 mile mark) to the parking lot at the Leetonia Trailhead on Washington Street. That part of the trail is expected to be closed for up to 45 days. J.S. Bova Excavating of Struthers, which bid $244,255, will be doing the work and has a deadline of June 1 to finish the job. 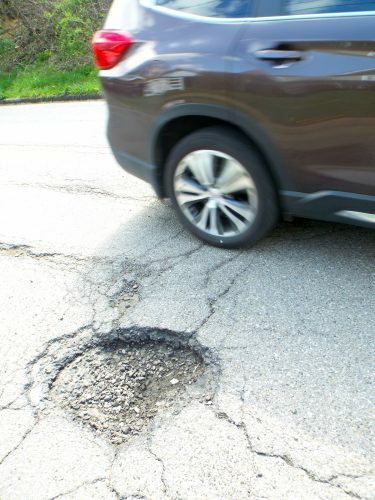 Bova will repave a 1.5-mile section of the bicycle trail between Franklin Square and Leetonia in an area known as the wetlands. First paved in 2004 and 2005, this section has a number of areas that have heaved up and cracked over the years. Salem’s 48th annual Founders’ Day celebration wil be held April 30 at the Salem Community Center on North Ellsworth. Doors open at 5: p.m. with dinner at 6. Tickets are $25.00. A special feature of the evening will be the acknowledgment of the three newly chosen 2019 Citizens of Honor. Selected for their significant contribution to the City of Salem are Karen Lehwald Carter, Don Weingart and Richard Wootten. The evening’s activities will also include “Pick-A-Prize Auction” which includes gift certificates from area businesses. Reservations will be accepted through April 16; call 337-6733. 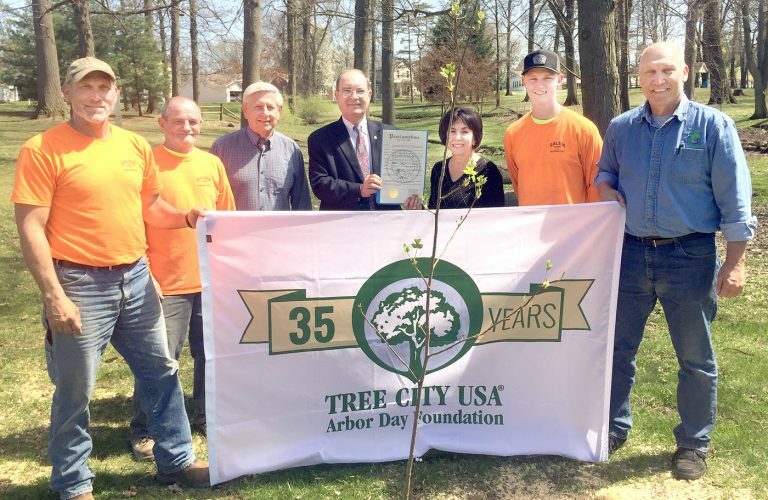 Madison Township to host tire collection and cleanup day for township residents only from 10 a.m. to 2 p.m. May 4 at the township garage on state Route 45. Accepted Items are: tires, scrap metal, large appliances and household items not usable, not normally picked up by refuse hauler and recyclable in the area such as furniture, mattresses, etc. Not accepted items: no tire rims, no semi-truck tires, no tractor or heavy equipment tires, no electronics, no refrigerators, no air conditioners, no dehumidifiers or anything containing Freon. Springtime in the Village in Columbiana means it is time for the Columbiana Women’s Club’s box lunches. They will be available May 3. The CWC ladies are getting ready for their annual sale of box lunches which include Bread Chef croissants filled with homemade chicken salad, Oriental coleslaw, grapes, a sugar cookie and Choco-Latte Crunch from Sweet Temptations Bakery. Lunches are $9 and must be preordered by calling Kathy Reash at 330-853-4555. Local delivery is available. The lunches will be made at the Grace Church in Columbiana instead of the CWC this year. The Proverbs Food Bank in Lisbon will be giving away food every Tuesday through the summer starting April 23, from 9-11 a.m. at the St. George Catholic Church parking lot on West Chestnut Street. Seats are available for the Salem St. Paul Church’s June 18-19 trip to Lancaster, Pa. People will attend two shows: “Camelot” at the Dutch Apple Dinner Theater and a musical variety show “Ovation” at the American Music Theater. Shop at Kitchen Kettle Village and Park City Center. The cost of $224 (double occupancy) also includes two all-you-can-eat meals, bus transportation,and hotel accommodations. Deadline for registration is May 1; contact Janel at 330-647-7946. Do you like Dog Man? Captain Underpants? Ricky Ricotta? The Dumb Bunnies? Then come watch “Captain Underpants: The First Epic Movie” during the Lepper Library’s Dav Pilkey Party at 4 p.m. Thursday, April 25. After the movie, kids will make make a craft and play games inspired by Dav’s books. The event is for grades 1-5. The movie is based on the “Captain Underpants” book series written by David Murray “Dav” Pilkey Jr. To register, call 424-3117. Local health and wellness providers will hold a Senior Wellness Health Market from 10 a.m. to noon Wednesday, May 15, at Meadowview Apartments 66 S. Washington St., East Palestine. There will be information, giveaways, games and prizes.